The first method should be your default choice because its meant for that purpose and all another method internally use this method for parsing floating point String to a real float value. If you pass an invalid floating point String e.g. something which has alphabets or character other '+' or '-'. In all cases, autoboxing will take care of converting an object of Float wrapper class to float primitive variable. One advantage of the second method it reads well and also provides caching of frequently used numbers. Third way internally uses the first method to convert String to float variable and then convert it to Float object. String concatenation with empty String method works for both float primitive and Float object, but the key is to use empty String first and then put floating point value letter because then only Java understand that + operator is there for String concatenation and not for adding two floating point value. If you use Float object then it's toString() method is called automatically. 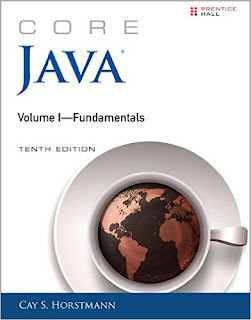 You can also see Core Java Volume 1 - Fundamentals by Cay S. Horstmann to learn more about different static factory methods to convert one type of variable to other primitive or wrapper type in Java. BTW, if you already have Float object then you don't need to do String concatenation because calling Float.toString() will anyway give you floating point String you are looking for. The last method String.valueOf() takes a floating-point value and convert it to String, which is returned by this method, so don't forget to store the result because String objects are Immutable in Java. * Java Program to convert String to float and vice-versa. // this method return float equivalent of String passed in. That's all on how to convert String to float in Java and vice-versa. These kinds of little tricks help to improve productivity because you don't need to look back to google to find how to do this job. As an experience Java developer, you must know how to do some basic stuff without looking at Google. The option to convert float to String using constructor new Float() is not a good idea. In fact these constructors are deprecated from Java 9.